It is interesting that Mussolini actually became head of the government legally, in accordance with the Italian Constitution that was in force at that time. 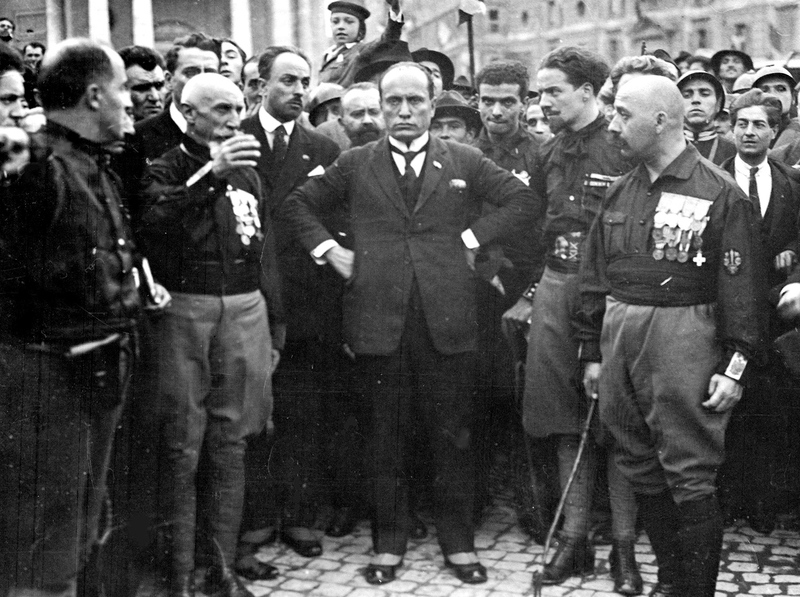 In his first government, Mussolini also served as minister of interior and foreign minister. On this day in 1922, Benito Mussolini officially became the Italian prime minister. He achieved this after the famous “March on Rome” in late October 1922, which spurred King Victor Emmanuel III to appoint him as prime minister. However, Mussolini actually came to power in a legal manner, in accordance with the Italian Constitution that was in force at that time. In other words, the “March on Rome” wasn’t a coup or a revolution, where power would be taken by force. As the new head of government, Mussolini received the title “Presidente del Consiglio dei ministri” (literally: President of the Council of Ministers). In his first government, Mussolini also served as minister of interior and foreign minister. In fact, he remained the foreign minister for seven years, until 1929.